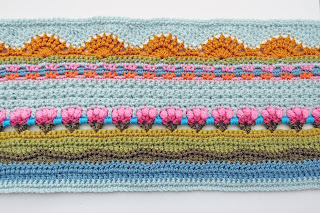 I am a little tardy with this post today, so apologies if any of you have been waiting patiently for me to post part 2 of the patterns. 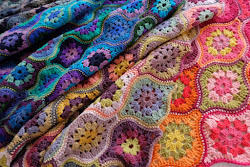 Late May and early June is a time when my garden usually looks it’s best, although we have recently had a major clear out so it is looking a little empty and, with the weather being so bad the last few days, I haven't got around to planting my hanging baskets, but as a general rule at this time of year the grass is still healthy and green thanks to the rain of late spring and all my favourite flowers are in bloom. 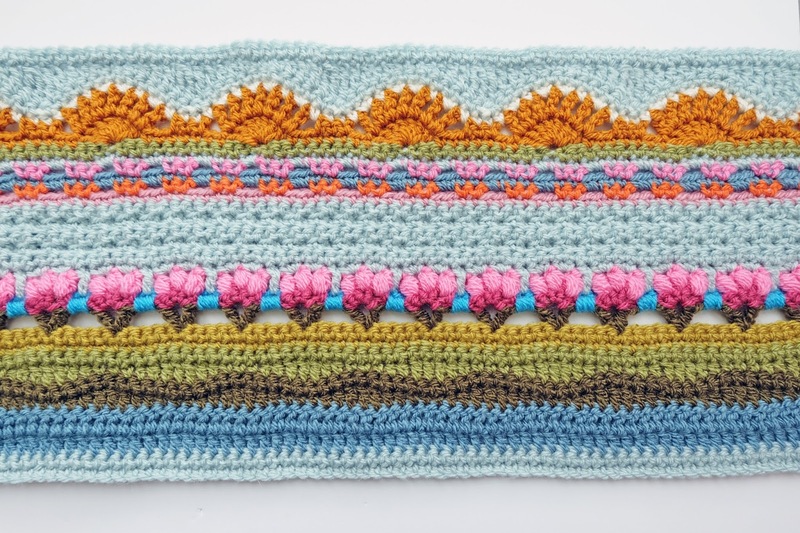 I wanted to capture the colours and shades of an English garden in this month’s crochet along patterns. 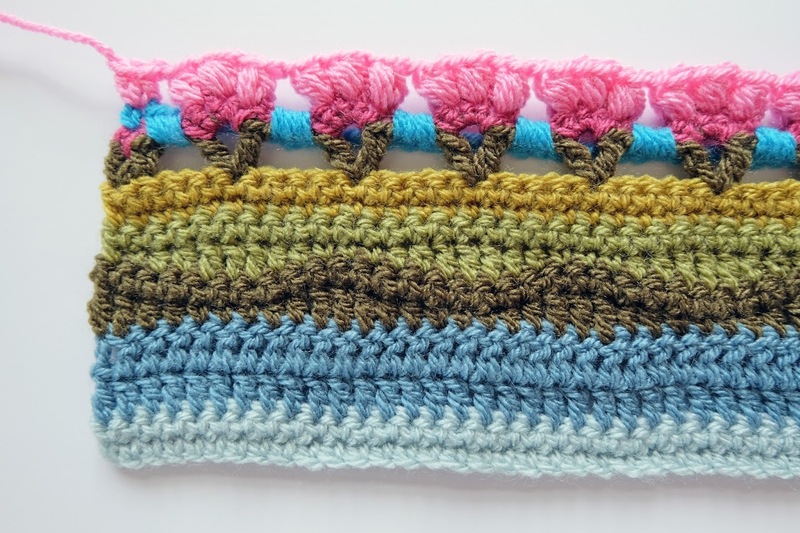 Within this set of patterns I will talk you through weaving and sewing in yarn tails, making puff stitches and working back and front loop double crochet which gives a lovely textural effect to your work. 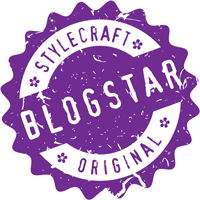 The blog patterns are written for the Stylecraft Special DK version with the shade and hook alternatives for the Yarn Stories option written within brackets. 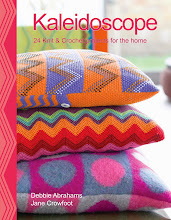 You can choose to purchase a download version of the patterns for just 95p a copy (total of 12 patterns). 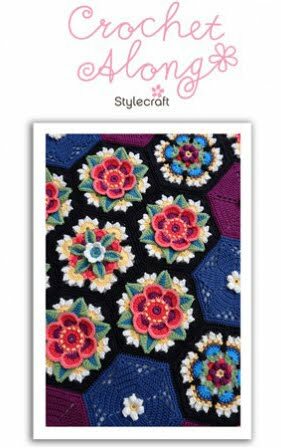 There is a link to the download copy for the Stylecraft Special DK version here and for the Yarn Stories Fine Merino DK version here. 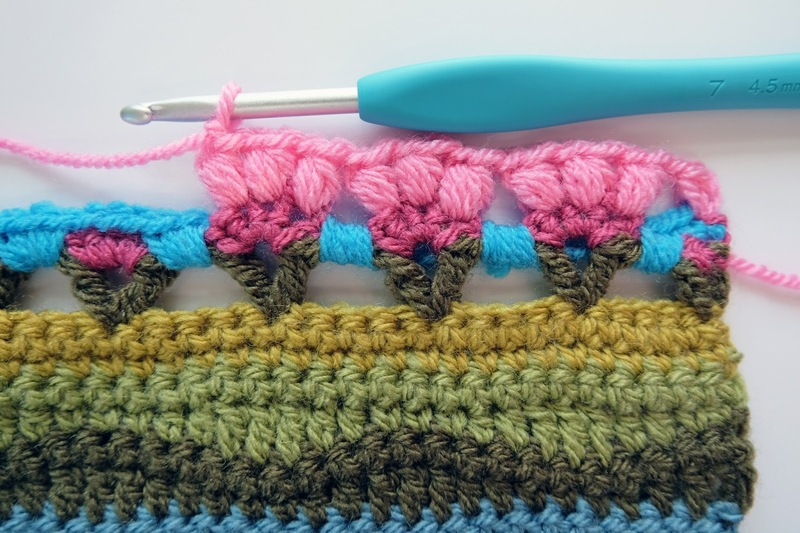 Please note that all step by step images are for the Special DK version. 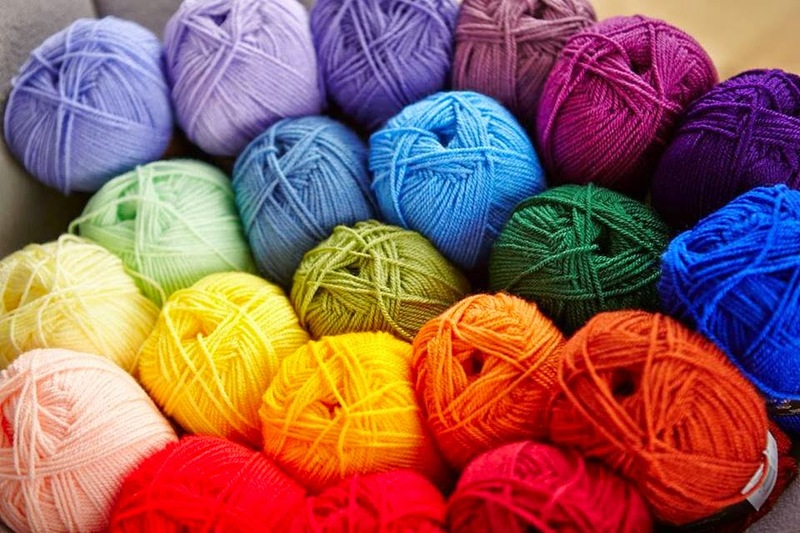 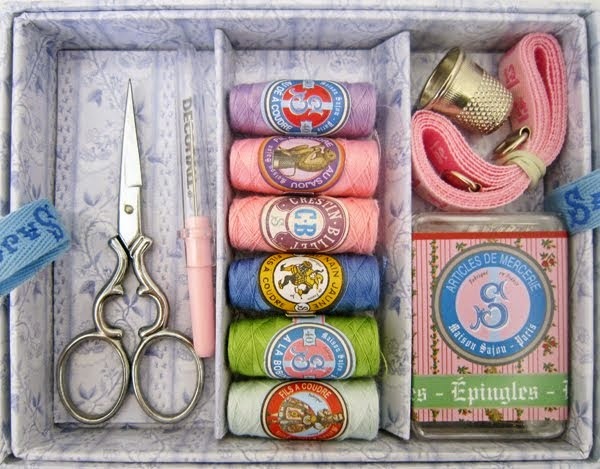 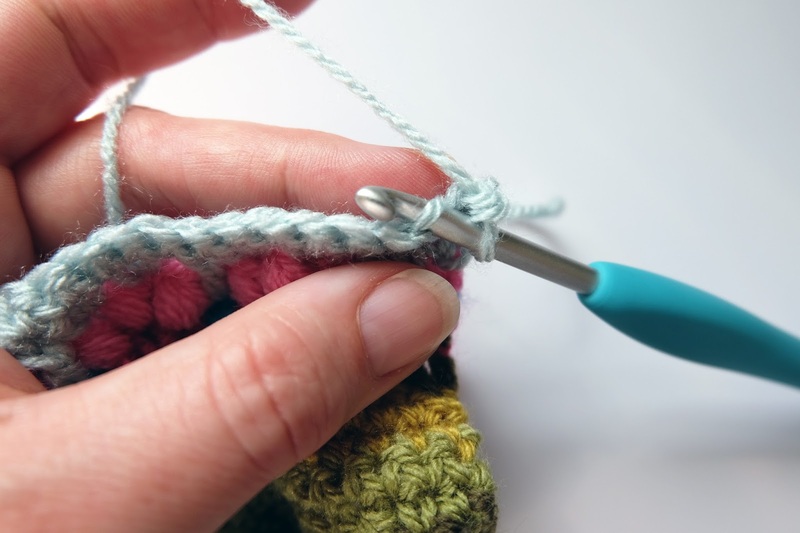 Dealing with yarn ends: Sewing yarn ends in as you go along makes the finishing process much easier and means that you are less likely to loose stitches or make errors with your tension. 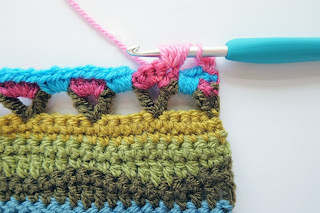 Please take note of changes in hook size. If you have chosen to make the blanket in a different size you will need to calculate your pattern repeats accordingly. Note: The pattern is written in UK terminology. Hold the tail end of yarn you wish to weave in in line with your crochet leading over to the left. 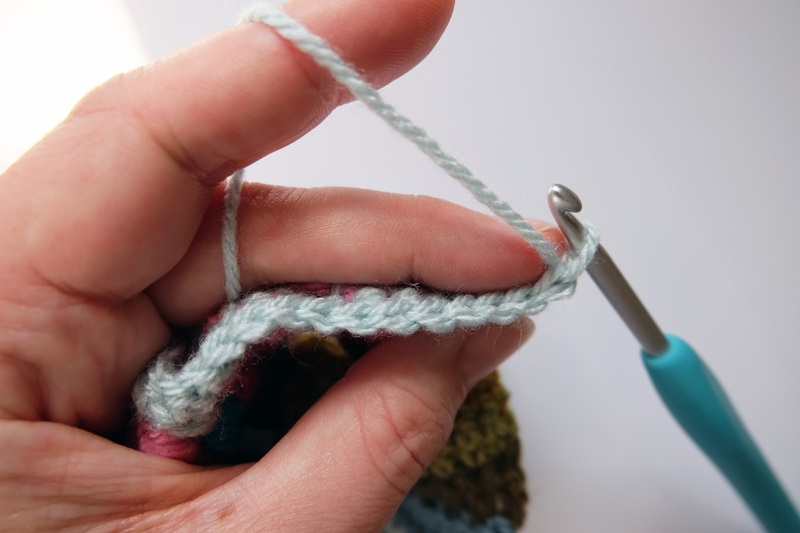 Weave the yarn end in on at least 10 stitches to ensure it is securely trapped within your row of stitches. 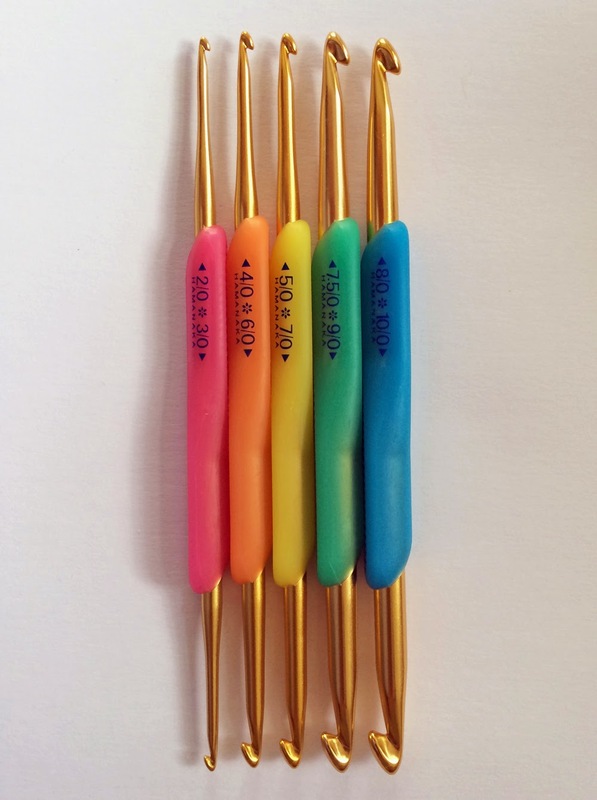 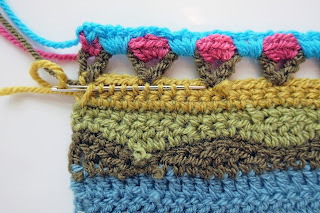 Row 12: Using Turquoise (Iced Teal) & staying on 4.5mm (4mm) hook 1ch (does not count as a st), 1dc into next st, 3dc into next ch sp made on Row 10 working around previous row also so that 2 lots of ch sts are covered, * 3ch, skip 4dc, 3dc into next pair of ch sp made on previous 2 rows as before; repeat from * to last 2sts, skip 1dc, 1dc into next dc, fasten off. 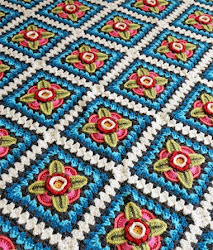 Do not turn. 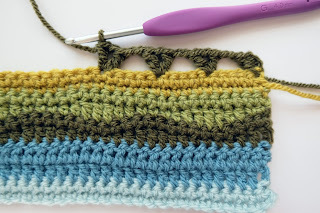 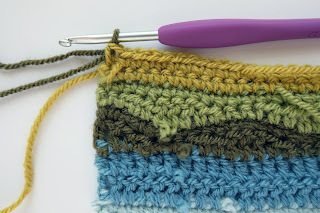 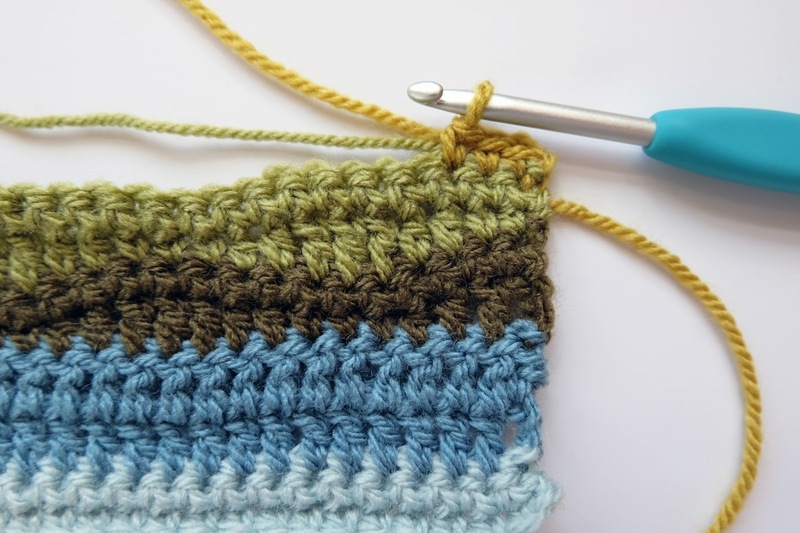 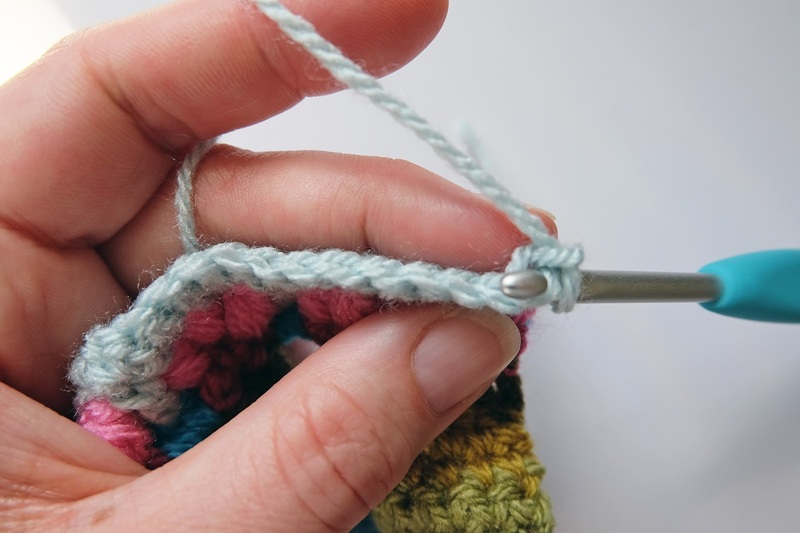 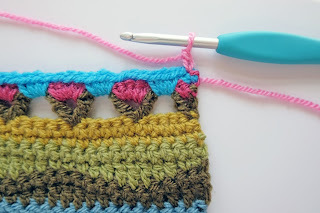 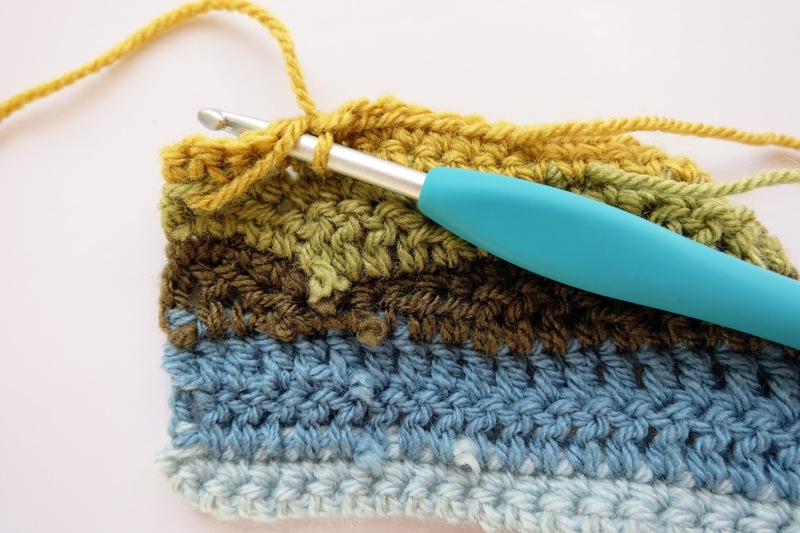 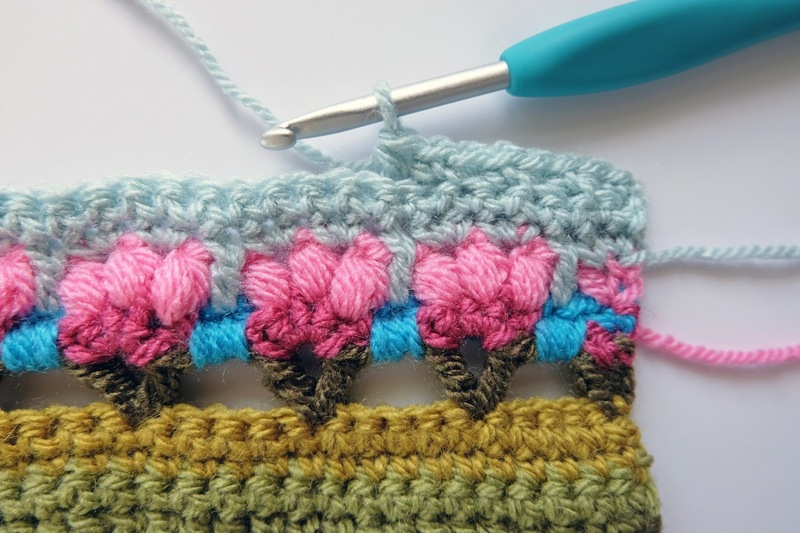 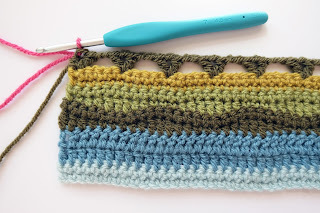 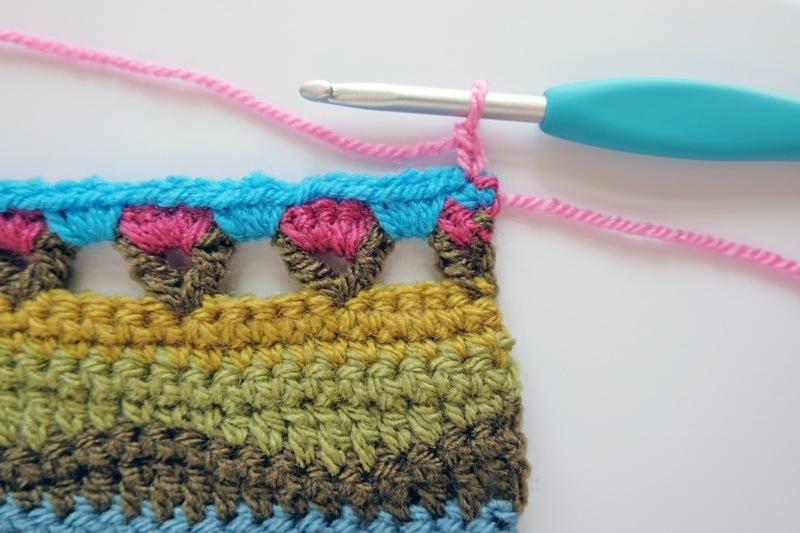 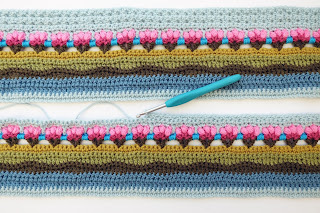 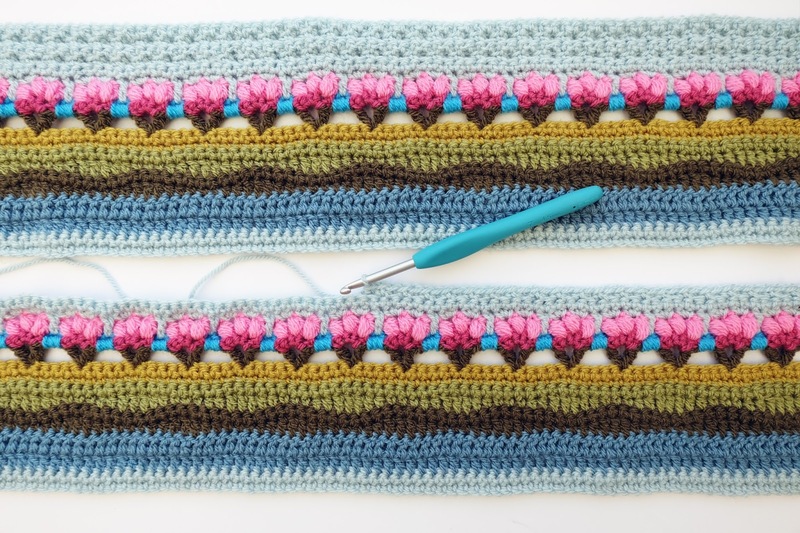 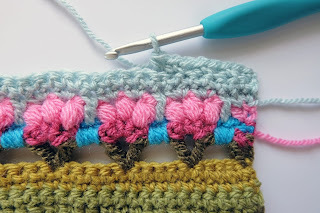 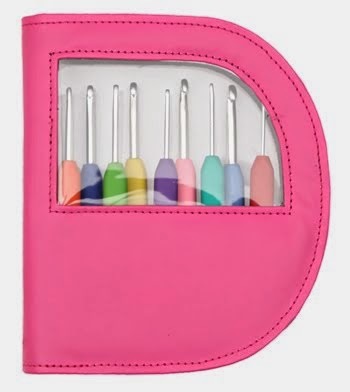 Sew through the middle of at least 5 stitches – again it is easier if you sew at the reverse side of double crochet stitches. It is a good idea to sew back on your self a couple of times to ensure the yarn is secure. On the next 4 rows you are going to work into the back or front loop of the chain that runs along the top of your stitches. 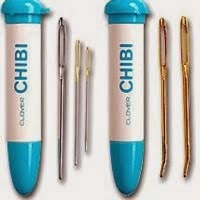 This gives a textural appearance to your stitches. 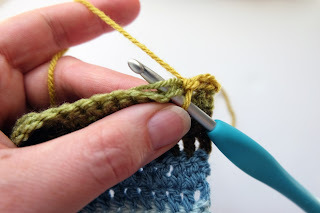 It can be a little bit tricky to get used to this stitch as the back loop is not always visible as you are working along the row, my advice is to look down on your work a little more than you usually would. Work other piece to match. Next set of patterns will be posted here on the 4th July. 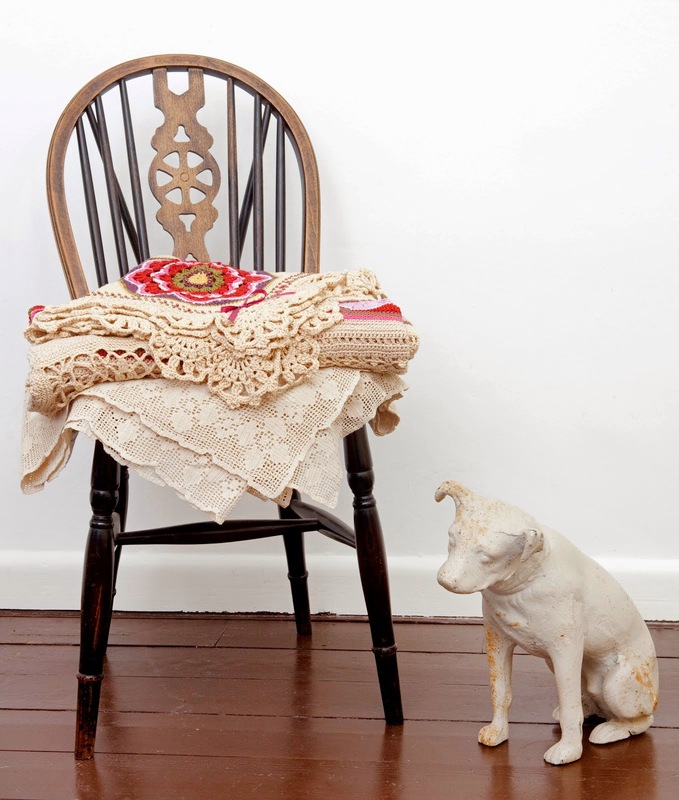 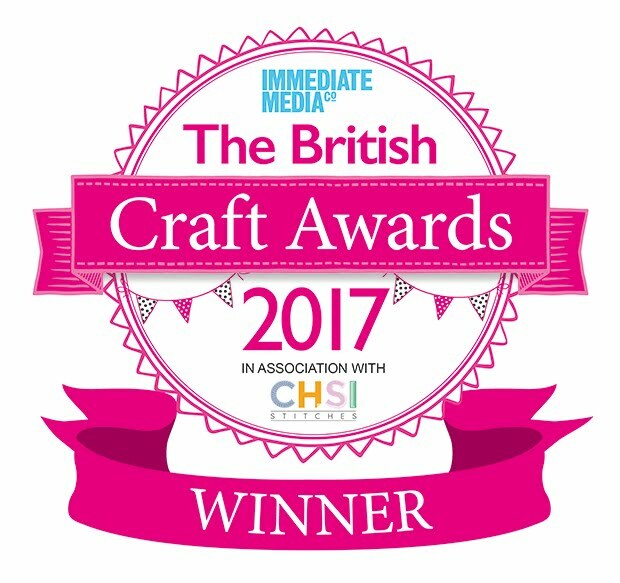 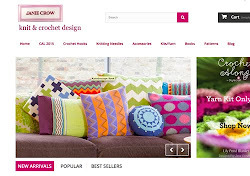 With thanks to the team at Crochet Now magazine.